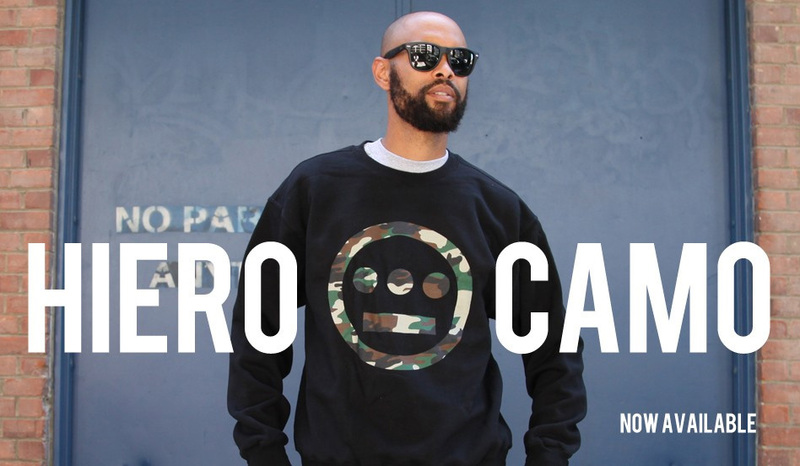 T. Massey modeling the new Hiero Camo Crewneck, part of the Hieroglyphics Fall Delivery. Available here. Please support the Indiegogo for Til Infinity: Celebrating 20 Years of Souls of Mischief. They have completed the main work on the documentary, but they need additional funds to get the color/sound ready for release.